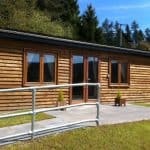 Tayview Lodges are situated just off the A9 heading north from Dunkeld just before you get to the Aberfeldy turnoff. 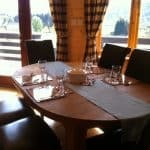 The four lodges take between six and 8 people per lodge. One of the lodges is available for those with a family dog. One lodge is also suitable for a wheelchair. 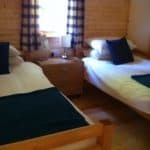 The lodges are twenty minutes drive to Aberfeldy and Splash rafting. There are great walks right from your lodge door. Tayview lodges are kept to a very high standard all year round. In total,the lodges can take up to 27 people if a large group. Also plenty of space to BBQ in the grounds. 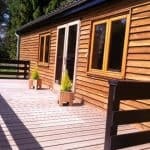 Several of the lodges have decks to relax on in the great Scottish weather.